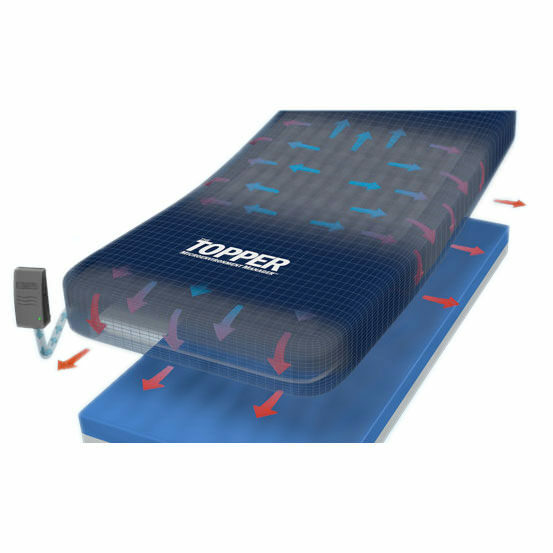 Span America Topper MicroEnvironment Manager coverlet is reusable powered air coverlet for management of excess heat and moisture within the microenvironment. 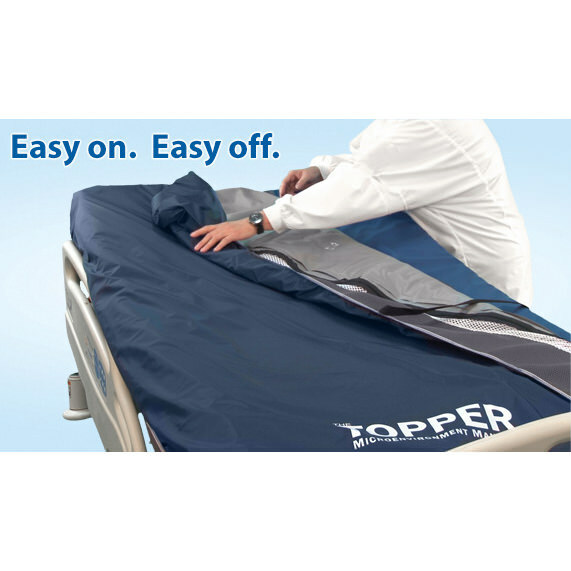 Topper coverlet system provides a gentle flow of air directly to the underside of its highly vapor permeable top layer, carrying away excess moisture vapor to help protect vulnerable skin. 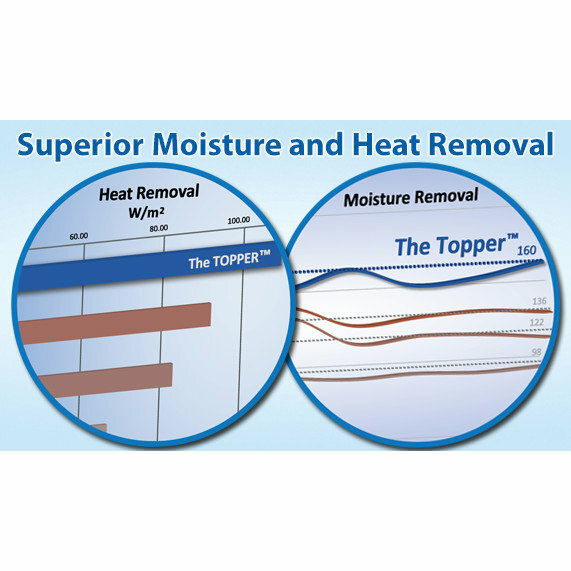 Topper outperformed a wide variety of products including typical low-air-loss surfaces and powered covers. Low profile allows effective performance without the safety compromises inherent in traditional low air loss overlay products. Interaction of inner air layer and top layer help offset the effects of shearing and friction. Topper is fluid resistant, anti-fungal, and bacteriostatically treated. It is designed to be easily wiped clean and disinfected in place using standard hospital-grade solutions. Alternatively, the top layer can be unzipped and machine washed, and the inner air delivery layer can be accessed for wipe-down cleaning and disinfecting if desired. 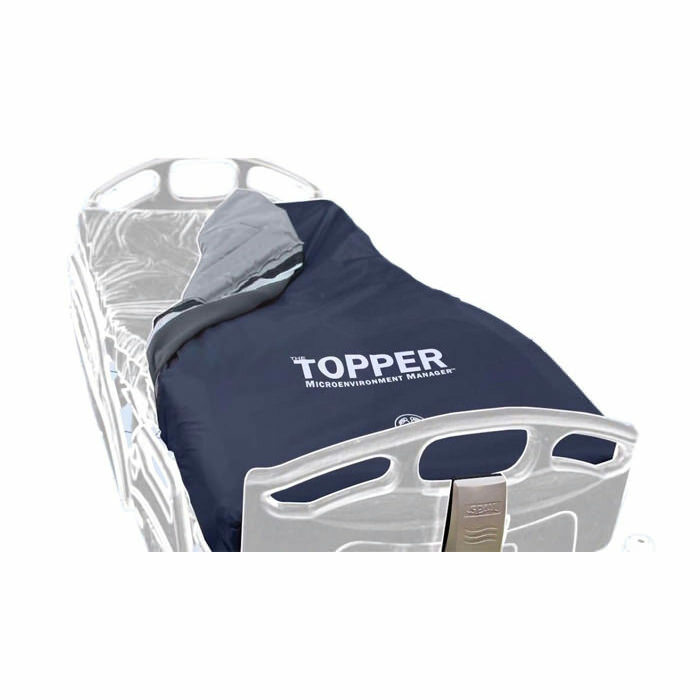 Indications: Topper is indicated for use in combination with a pressure redistributing surface to aid in the prevention and treatment of skin breakdown and pressure ulcers through Stage IV by reducing excess heat and moisture within the microclimate, especially in clients who are obese, febrile and/or diaphoretic due to infection, antibiotics and/or analgesics. 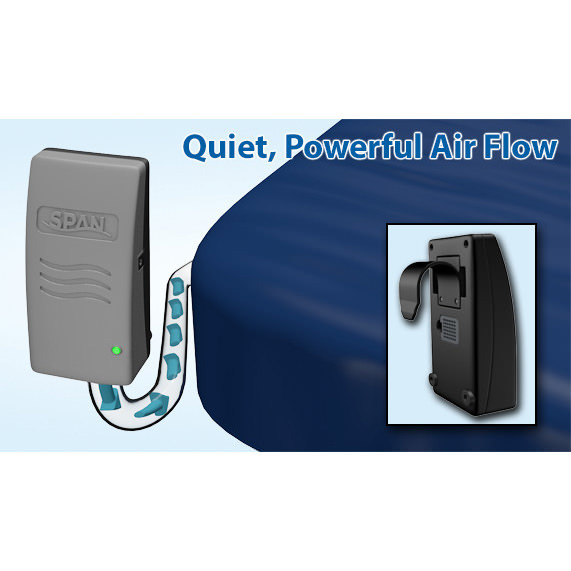 System includes: Air cover, powered control unit, carry bag. Available widths 36", 42", 38"
Manufacturer warrants to the original purchaser that this products components, software, and cover will be free from defects in materials and workmanship for a period of 24-month non-prorated (all components) from the date of purchase, when maintained according to manufacturer specifications, using manufacturer provided equipment and maintenance schedule.